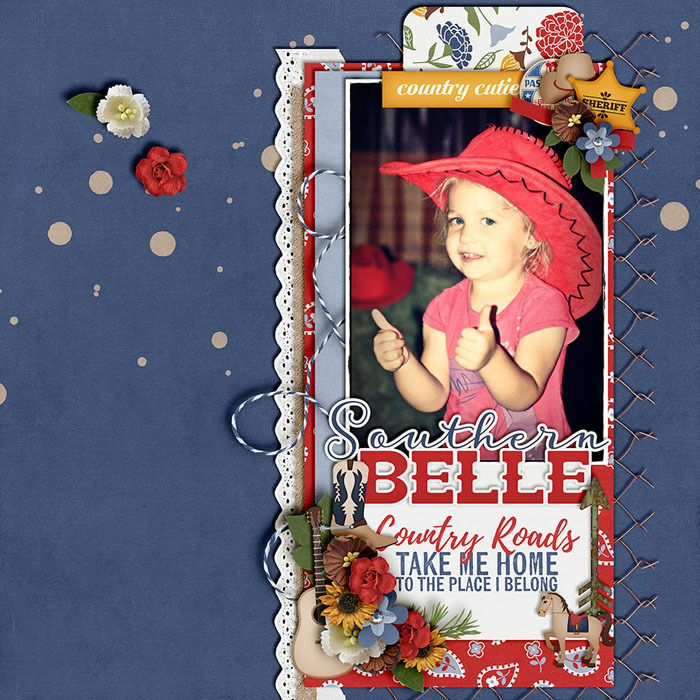 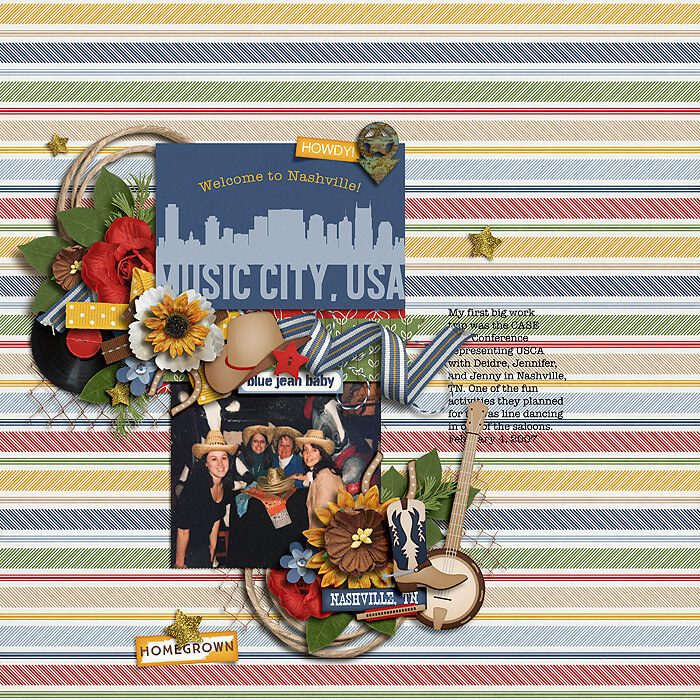 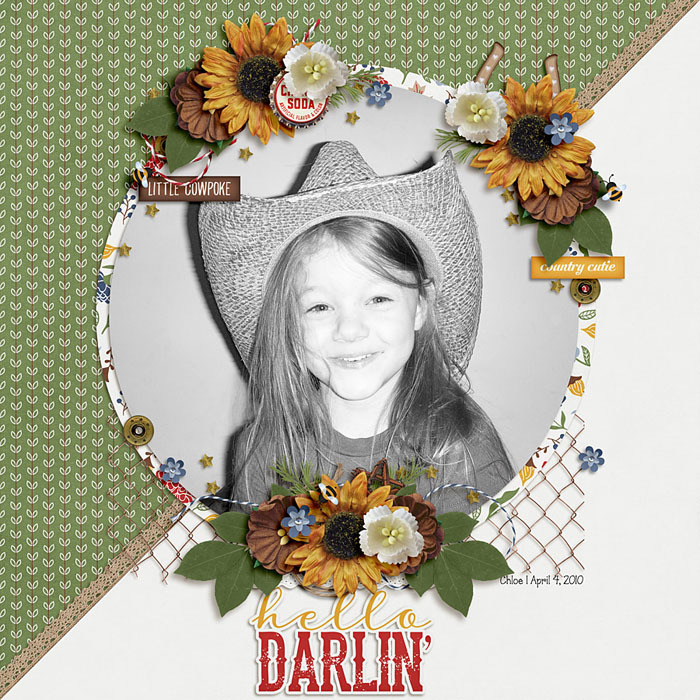 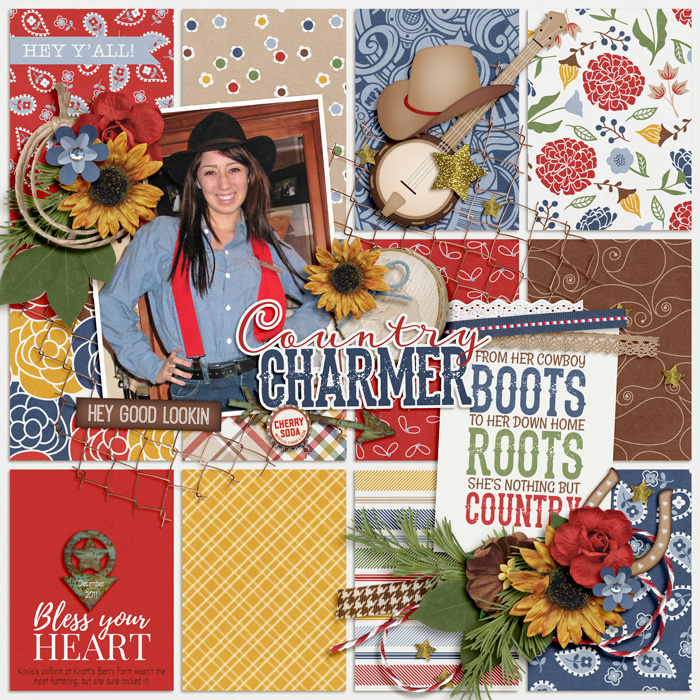 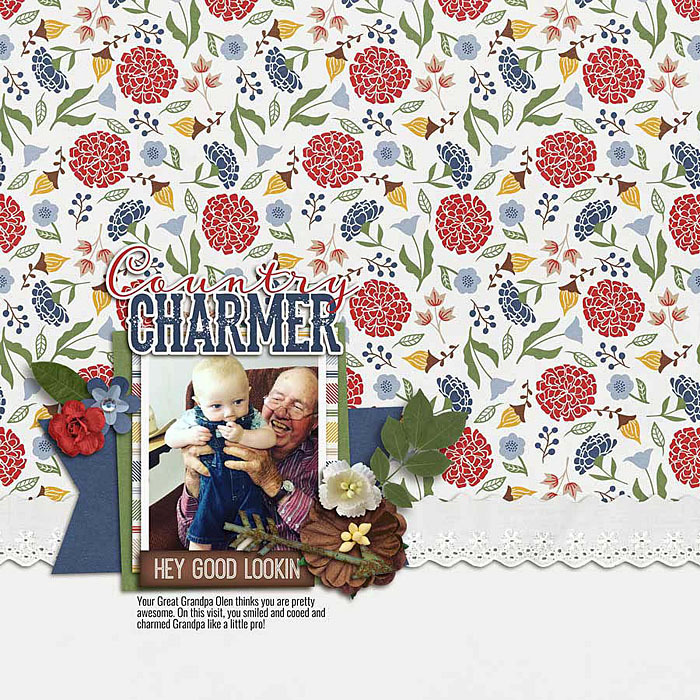 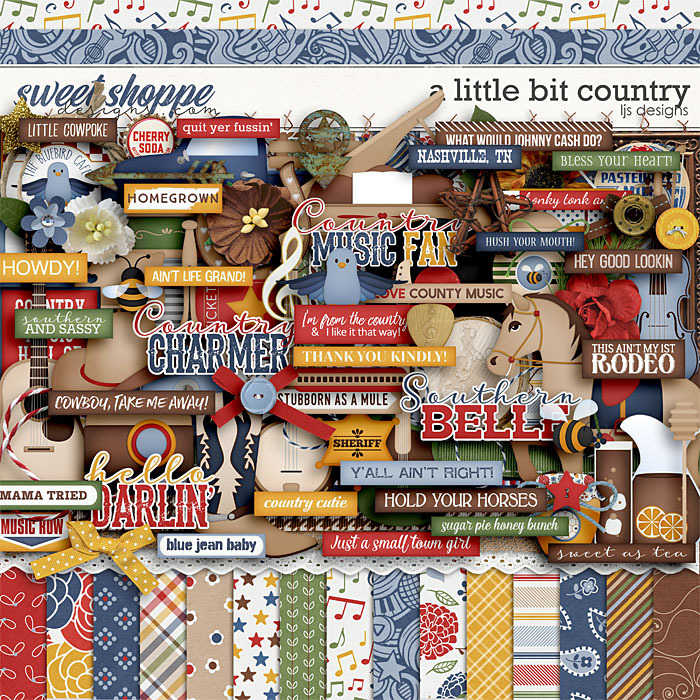 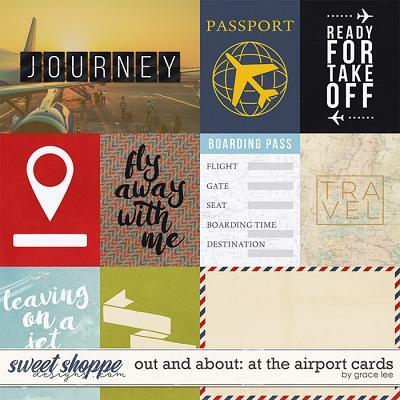 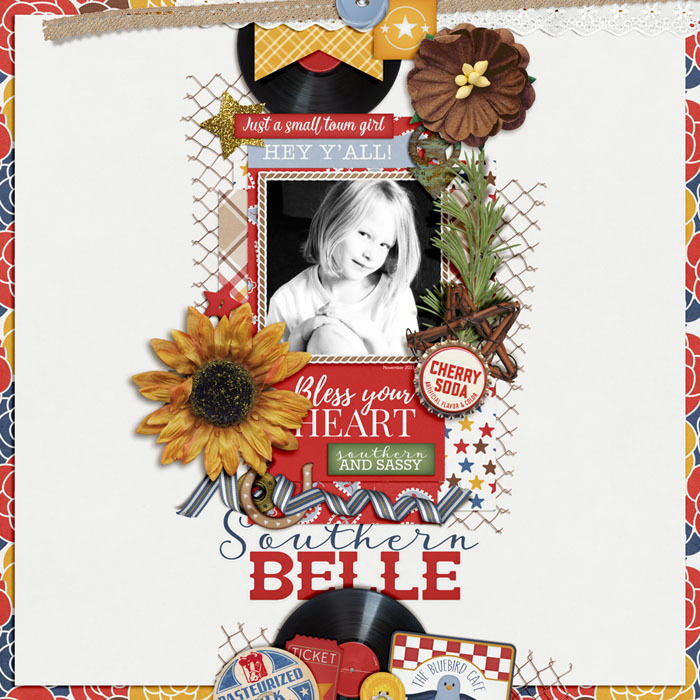 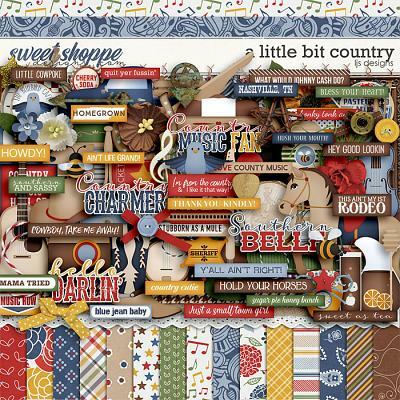 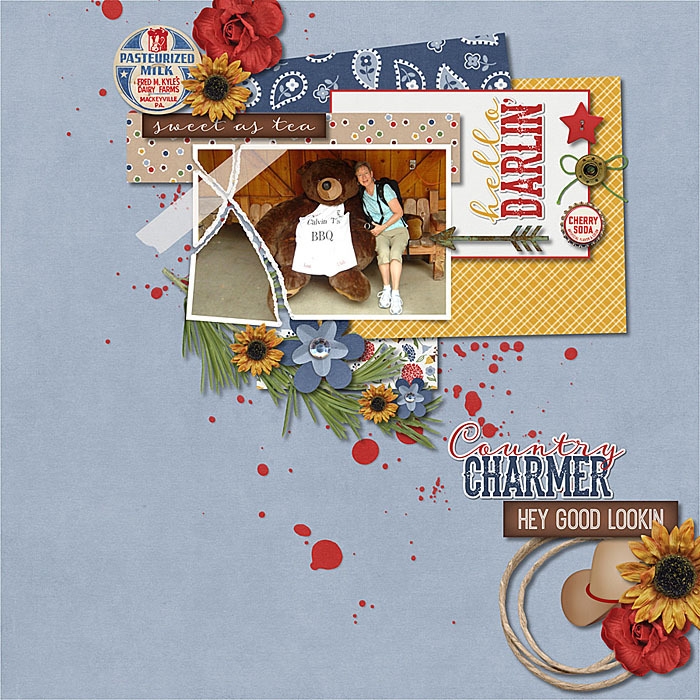 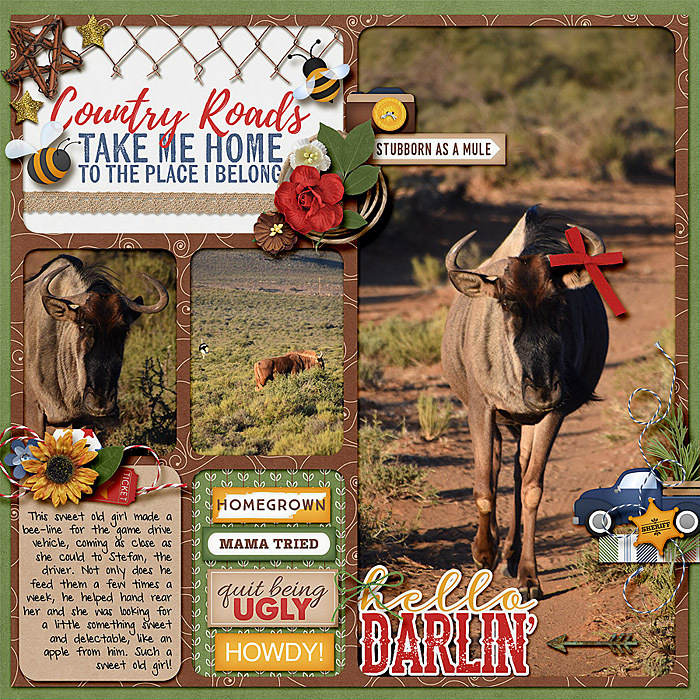 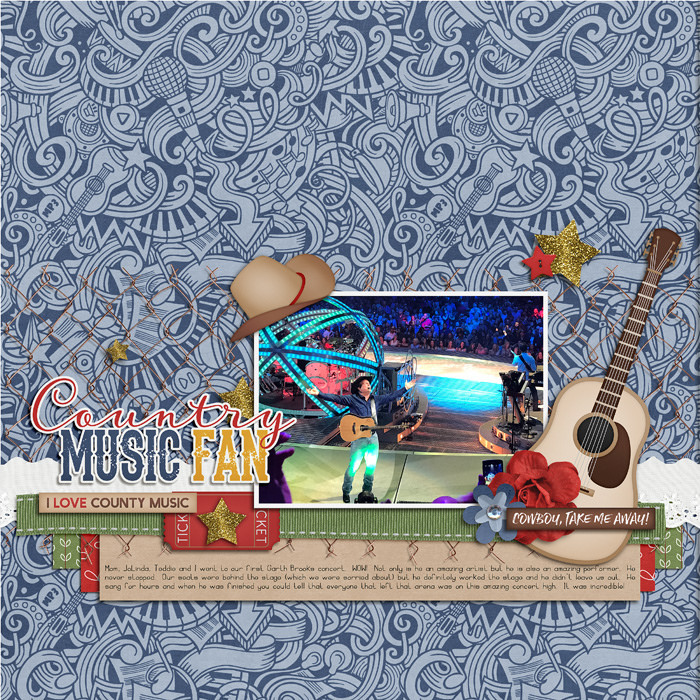 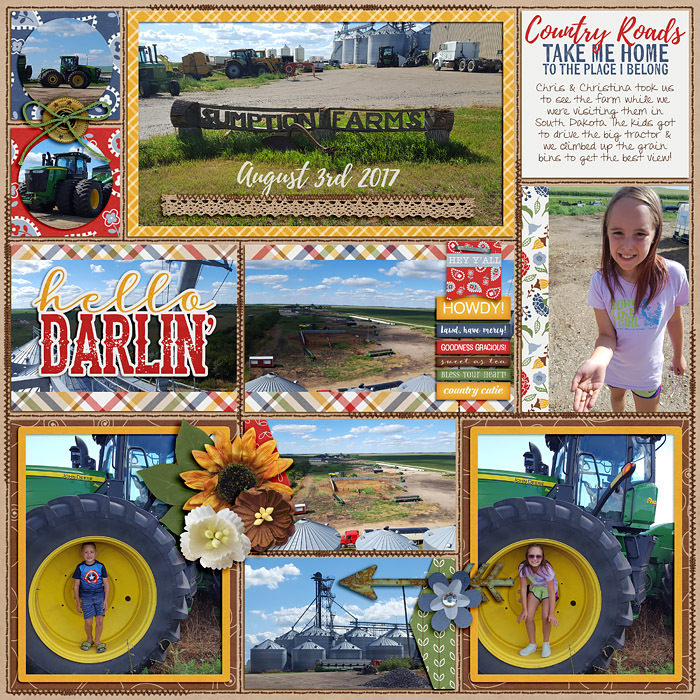 A digital scrapbooking bundle by LJS Designs, A Little Bit Country: Bundle is full of fun country elements and charming patterned papers. 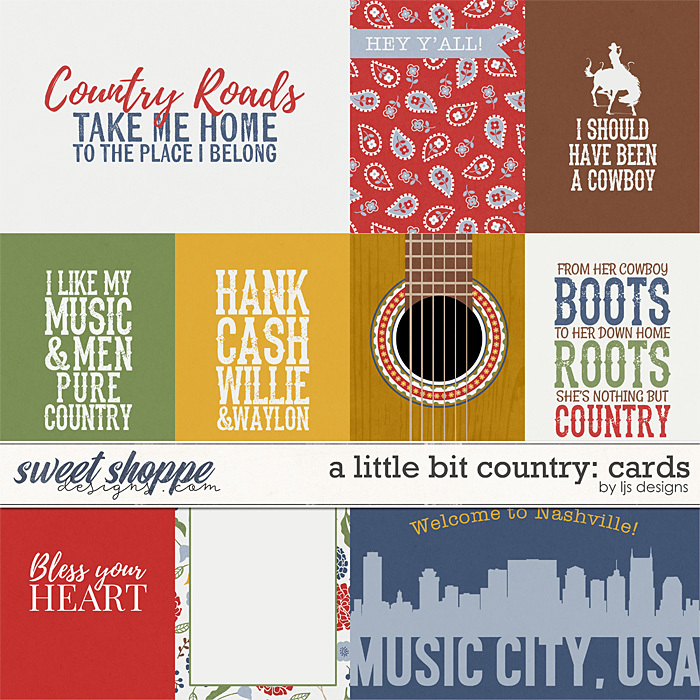 If you like country music, live in the country or have a country cutie in your life, this bundle has you covered. 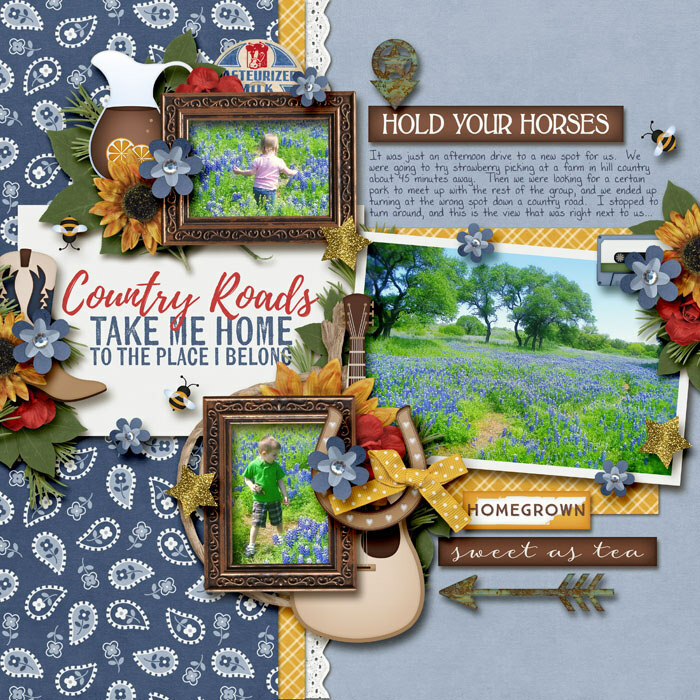 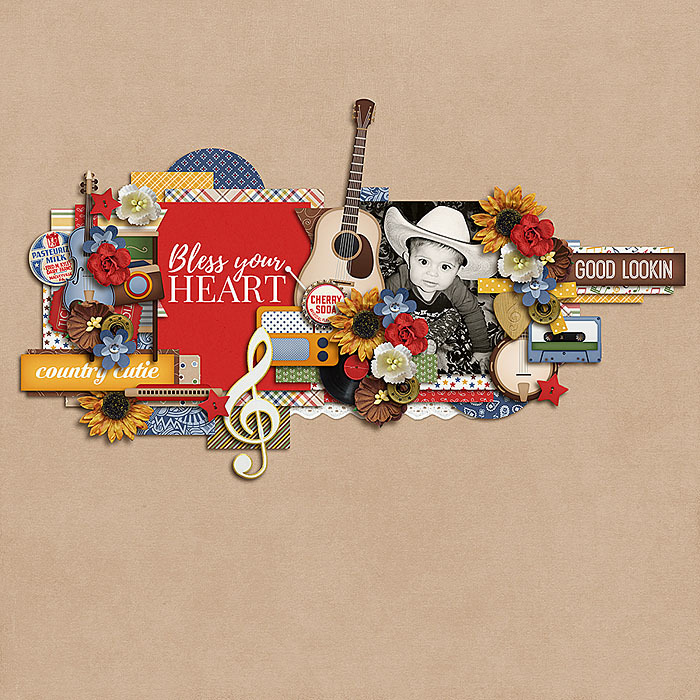 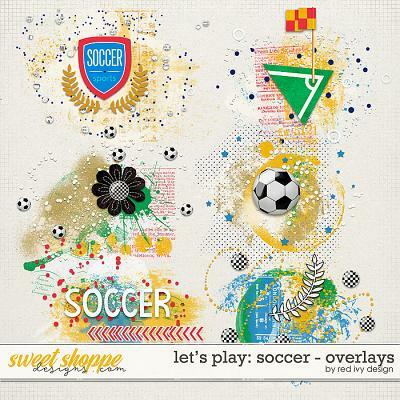 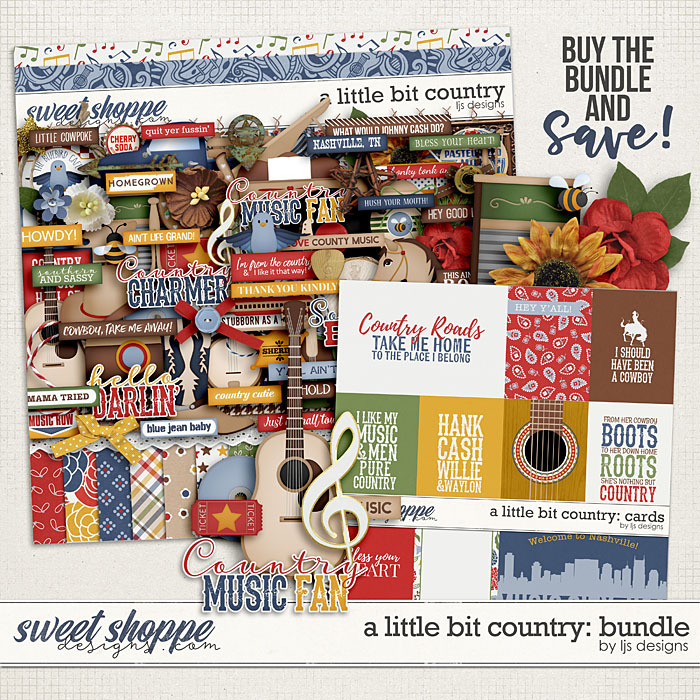 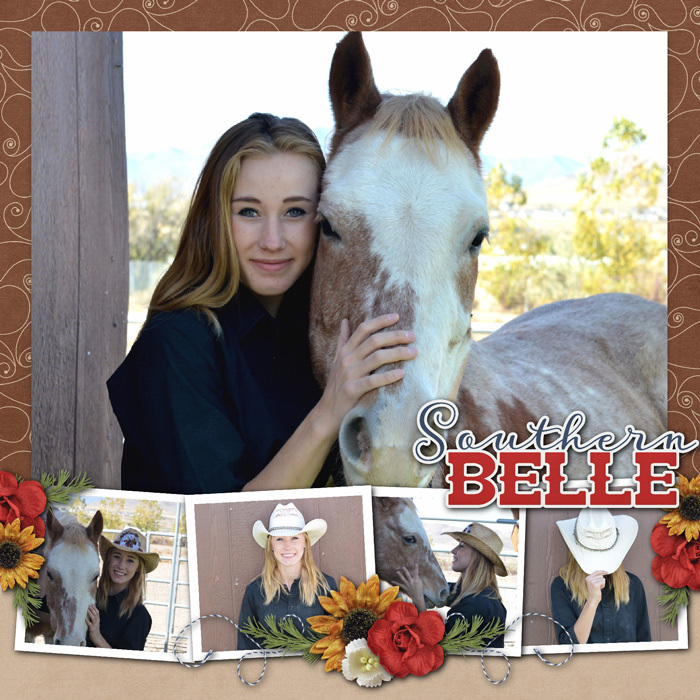 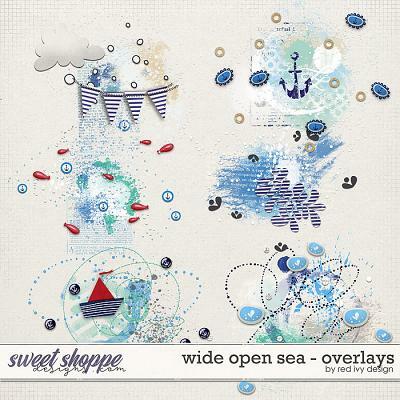 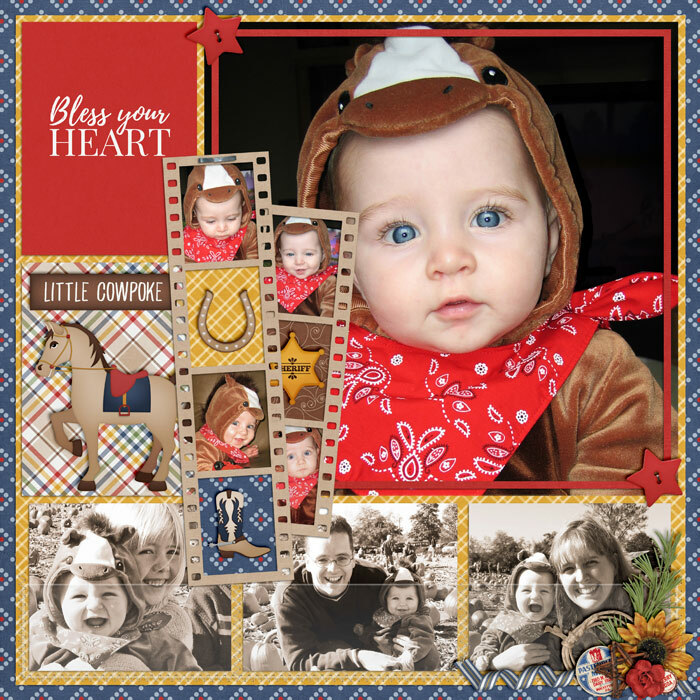 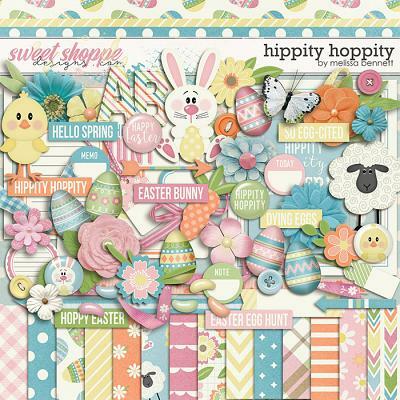 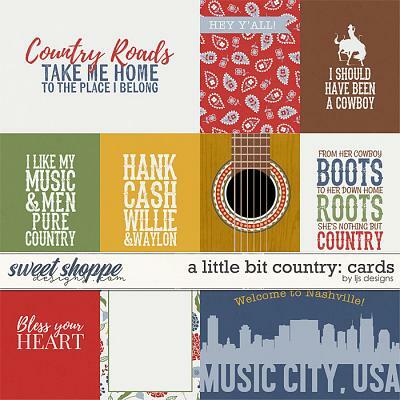 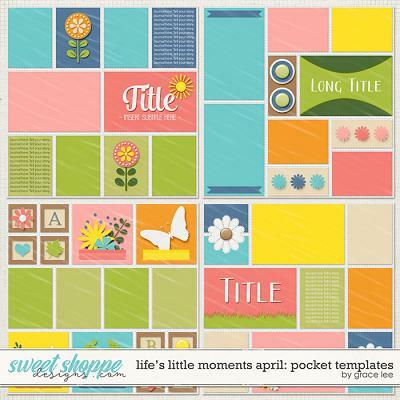 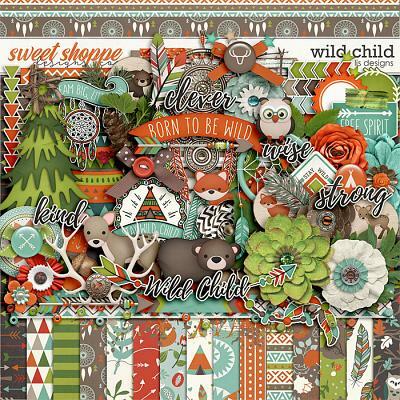 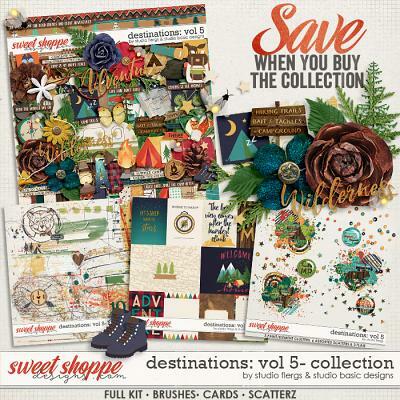 With everything from cowboy hats and boots, to sweet tea and honey bees, this sweet bundle is versatile enough to use over and over again on all your country layouts.